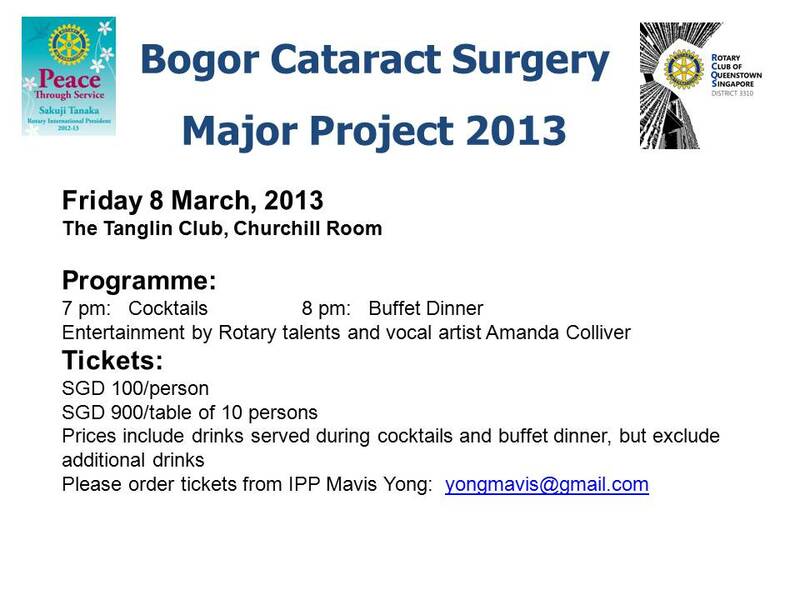 Our Major Project 2013 aims at raising funds for 150 cataract surgeries for needy people in Bogor/Indonesia. On March 8 our charity dinner will help to achieve this goal. 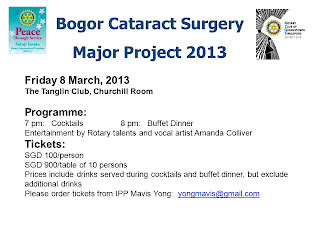 Please attend our dinner at Tanglin Club’s Churchill Room together with friends and family. Thank you for your support and make sure you reserve Friday 8 March for our Major Project dinner.